HAMMER is going to take part on the ISPO 2014 show in Munich. 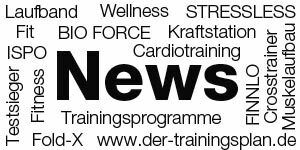 Brand new products like the new HAMMER ergometer XT5 and the new HAMMER elliptical trainers will be shown at the HAMMER SPORT AG booth together with new FINNLO products on the substantial and leading International trade fair for sporting goods and sports fashion. 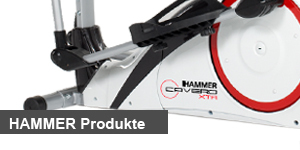 HAMMER developed the new Cardio XT5 ergometer to make sure people stay fit during winter season. 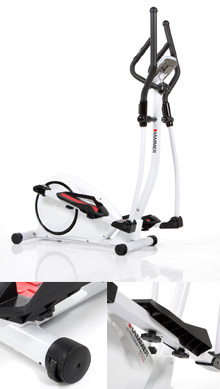 With 12 fitness programs and 4 additional heart rate controlled programs the ergometer will be a challenge for the starter and as well the advanced user. 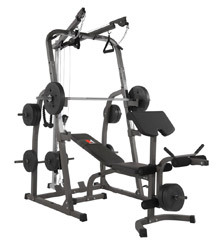 The only Crosstrainer on the market with a push-and-turn button for an easy computer controlled resistance adjustment: 12 fitness programs supported additionally with 4 heart rate controlled programs. After the workout a fitness score will be calculated so the efficiency of the workout will be rated. 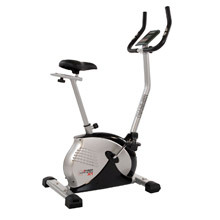 New developed entry-level elliptical trainer from HAMMER, to eliminate unwanted fat pads. 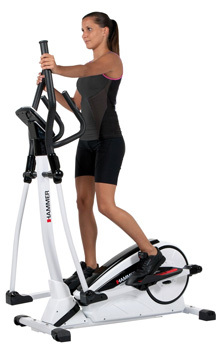 With the Crosstech XTR a whole body workout is possible. 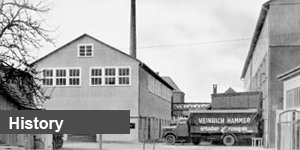 The resistance adjustment is computer-controlled. 16 resistance levels can be set. Four heart rate controlled programs guarantee long-lasting fun when exercising. 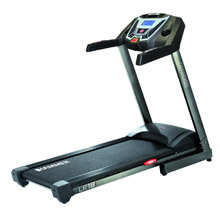 The LR22i treadmill from HAMMER speeds up to 22 km/h and inclination can be set up to 12%. 19 programs make sure your training at home keeps being interesting and motivating. 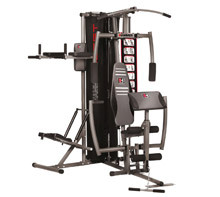 Smith Machine Core 3.0 is a compact and guided barbell system providing real studio feeling. Including a padded power lat bar, a guided barbell rail with safety stopper and a leg curl for a variable and effective strength training at home. 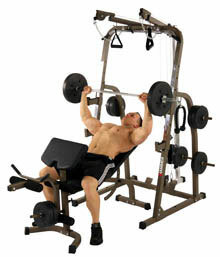 The smith machine Core 3.0 can be upgraded with a cable-cross module for even more intense and diversified workouts. 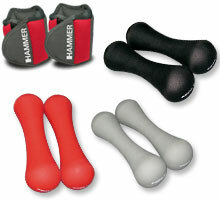 HAMMER FITNESS takes care about the small extras you might need for an improved workout. For adding some extra effort we suggest using hands-free wrist sleeves (from 0.5 to 0.75 KG each) or our ergonomic fitness dumbbells with 1, 2 or 3KG each. The dumbbells are neoprene-coated for a smooth and comfortable feeling. The Life Runner series is getting faster. LR20 is available with a max. Speed of 20km/h, so even an intense interval training at home is possible. 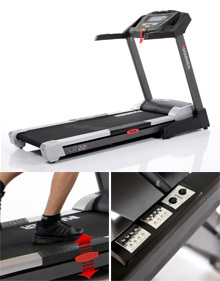 It is equipped with our “Super Soft” running surface, automated height adjustment and 18 training programs for diverse running workouts at home. In 2012 HAMMER SPORT also presented its premium brand FINNLO at the ipso in Munich, the world’s leading sports tradeshow. 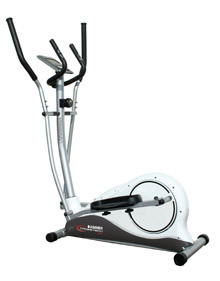 The Crosstech XT elliptical has been redesigned and features an attractive lava gray/white finish. The Solid and Solid XP weight benches just got a new, modern look with frame construction that glows in its hip graphite finish. HAMMER SPORT is presenting the HAMMER FITNESS brand at the ISPO 2011 in Munich, the world’s leading sports tradeshow. It will introduce new products such as the Quest multi-gym and the Cardio Life elliptical at booth 426/429 in building C1. The popular Ferrum line is being replaced by the new Quest multi-gyms with a modern graphite look. 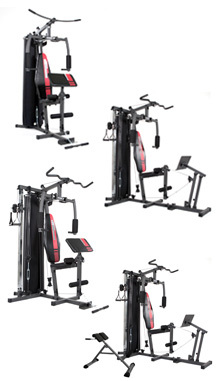 Quest multi-gyms set themselves apart with their high-quality cushions and a built-in exercise chart that lets beginners know which exercises can be performed on the multi-gym. 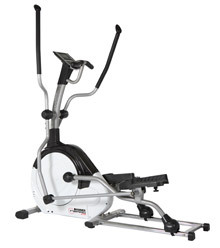 HAMMER FITNESS is launching its first ever front-driven elliptical with the Inspiro XTR. Twelve varied programs and extensive, jerk-free motions ensure fun and effective training. Heart rate monitoring, fitness grades and BMI computation help fitness athletes not lose sight of their training goals. The Solid and Solid XP weight benches just got a new look. The frame now has an olive drab finish to keep up with the current military style trend. Cushions remain black. HAMMER is looking for fitness models! 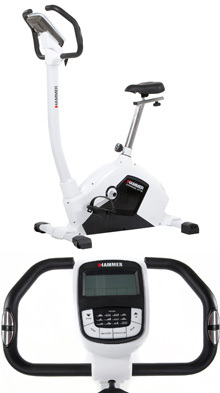 HAMMER FITNESS is expanding its assortment of stationary bikes with the Xantio, Xantio XTR, Sierro XT and Cardio X1 lines. The new stationary bikes feature user-friendly computers, the proven permanent magnet braking system and adjustable saddle and handlebar settings that fit any rider. HAMMER FITNESS has expanded its range of rowing machines with the addition of the Cobra XT and Cobra XTR. The high-quality Cobra XTR will impress you with its jerk-free motions, automatic fitness programs and heart rate monitoring capability. 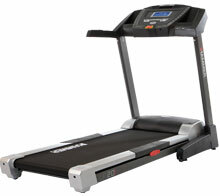 The Cobra XT has a manual 10-speed resistance adjustment and an aluminum rail.